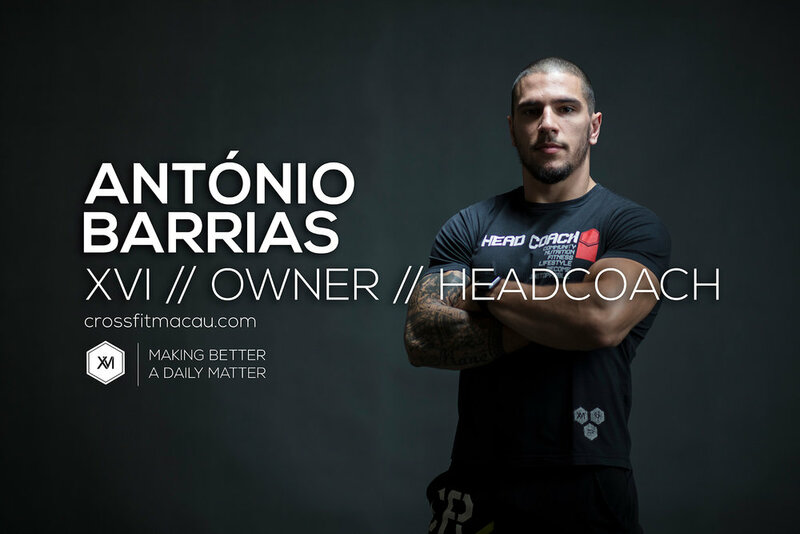 Sincere, Expert and Leader, Barrias is the motor, the fuel and the race of CrossFit in Macau. A former professional football player, Barrias has ever since dedicated his career to fitness, health and CrossFit, becoming in 2015 the 2nd fittest man in Asia at the Asian Championship - Bangkok - and one of the highest CrossFit Authorities in CrossFit Training and Performance in all of Asia. Barrias´ partner in crime, this doll face Crossfitter is as charming as she is demanding on every work out she presides. Persistent, hardworking and caring, Ho has been aiding on building the founding stones for a new generation of fitness through CrossFit Kids and general CrossFit. She, like a few others, are pioneers on the way fitness will be shaped in Macau. It doesn´t matter if its a brush, a pen, a camera or a laptop, this local macanese bearded giant will get your job done with the swiftest of manners and PRing every time. Born and raised in Macau, Conceição has done a bit of everything, channeling his ideas and his creativity to better serve your fitness journey and make your every WOD as meaningful and colorful as possible. Young, Cheerful and Caring. Like any lady Crossfitter, Barrias is the voice of reason when it comes to risking it. But in the same measure, she´s the coach that your kids will see as a role model. Sincere and observing, Barrias is the guarantee that safety and technique come before any PR. 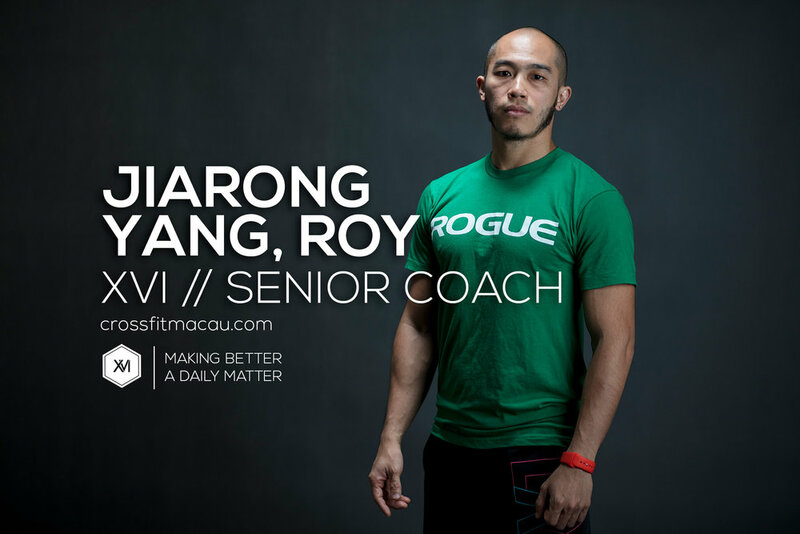 Known to his CrossFit athletes as "Uncle Roy", Roy is the mobility hero of weightlifters. A powerful character full of great examples for perfect technique, Roy is the link to our Asian heritage making the bridge between our athlete´s cultures smaller everyday. Cheerful and demanding, he is a Coach to whom you don´t want to be late to meet. The first smile that everyone sees once they make it to our Box is Angie´s. Our beautiful 23 year old Booking Manager is the perfect blend between the badass partner your want cheering for you on every workout and the sweet friend that takes care of your every need at the box. Instagram aficionada and Facebook Queen, she´ll be getting everything ready for your first day at our Box.